[ANTI-SLIP PROTECTION] – The Remote Cover was made of Durable and soft silicone, adds great grip and drop protection. 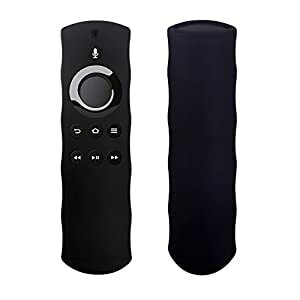 Humanized texture design protect your remote from slip. [ PREMIUM MATERIAL] – The Silicone skin is high quality, washable, shockproof, dust-proof, anti-scratch, friendly environmental, skin-friendly and comfortable. 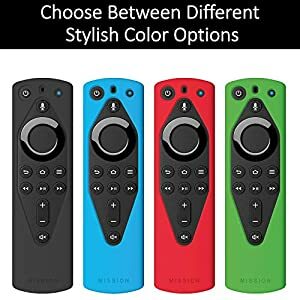 ☺️COMPATIBILITY: Custom designed for your Fire TV Stick (2nd Gen), Fire TV Stick 4K, Fire TV Cube, and Amazon Fire TV (3rd Gen, Pendant Design). 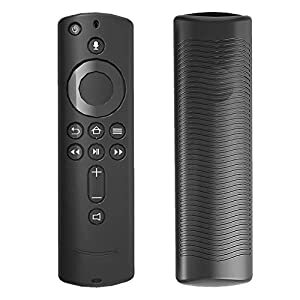 Not compatible with Alexa Voice Remote for Fire TV Stick (1st Gen) or the basic Amazon Fire TV Remote. 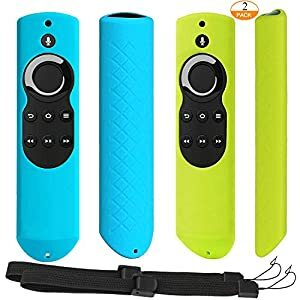 ☺️HIGH-QUALITY: Light weight silicone case protects against accidental drops and adds grip to the remote. 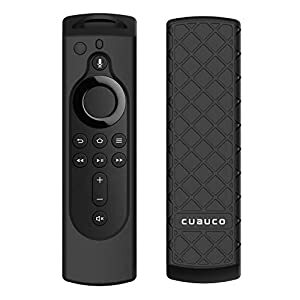 Adds more security for your Fire TV Stick remote. ☺️BEST USING FEELING: Accurate mold provides full access to all buttons, ports and functions, offer the best using feeling for grip. 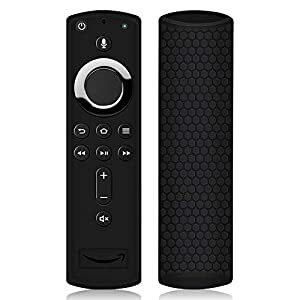 Specially Designed for All-new Amazon 2nd generation Alexa Voice Remote (Fire TV Stick 4K, Fire TV 3rd Gen., Fire Cube Voice Remote). Made of durable impact-resistant silicone. Excellent grip thanks to the rubber-like silicone material and honey comb pattern. Kids friendly and light weight, provides the maximum protection, anti-slip, anti-dust, shock proof and washable. 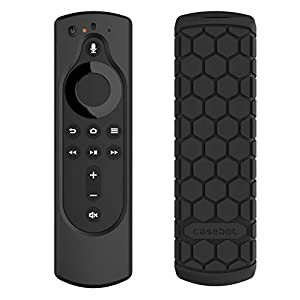 NOTICE: Please confirm your remote with the product pictures before order .Case Only .Don’t Include Remote.Specially designed for the new Amazon Fire TV Stick 4K Remote Controller. Healthy: Made from durable and soft silicone the Cuauco Case adds great grip and drop protection. provides the maximum protection, anti-slip, anti-dust, shock proof and washable. Comfortably：Full access to all ports, buttons and functions, custom cutting on the case allows all functions of the remote are open for use. Designed for All-new Alexa Voice Remote with power and volume controls. 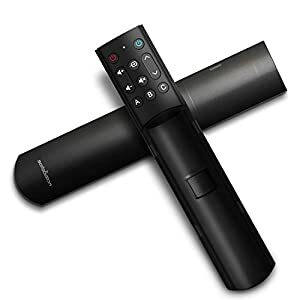 Alexa Voice Remote NOT Included. 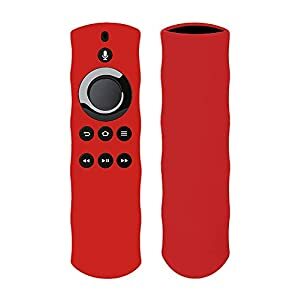 Light weight silicone case protects against accidental drops and adds grip to the remote. 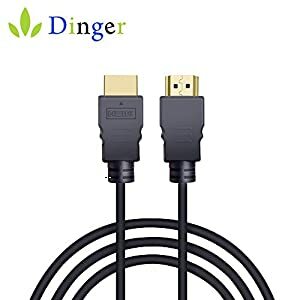 1.5′ EXTENDER – WIFI BOOSTER FOR YOUR STREAMING MEDIA STICK (Compatible with Firestick, Chromecast, Roku Streaming Stick, etc): FireCable HDMI Extender ( also referred to as HDMI Adapter ) is longer than the original HDMI adapter included with the Amazon FireStick. 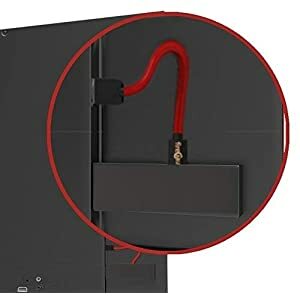 The extra length allows you to position your Fire Stick closer to your WiFi router. BETTER SIGNAL = LESS BUFFERING & MORE STREAMING: By default your device is forced to sit directly behind your TV. 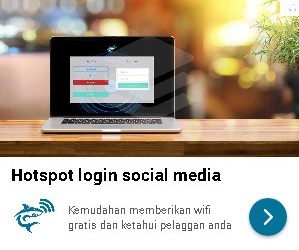 In some cases this can degrade the WiFi signal. The Extender allows you to position your device in an optimal position, closer to the edge of your TV. 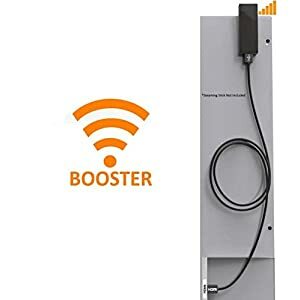 This offers your Fire Stick or other streaming stick a better line of sight with your WiFi router, which INSTANTLY improves signal and faster data transfer speeds. MAXIMUM SIGNAL BOOST: Because fireCable Extender is longer, it offers more positioning options for your streaming media device. In most cases you will only need to position your stick closer to the back edge of your flat screen TV for improved signal. But, if necessary, for MAXIMUM performance you can even position your Stick completely away from your TV, in a direct line of sight of your WiFi router! Instantly improving speeds! surePower USB TV charging cable | for Streaming Sticks FireStick & Other Streaming players. Powers your FireStick from your TV’s USB port. No more messy TV wires! | Eliminates the need for an AC outlet! Provides a clean wireless look, and lets you place your TV anywhere you want, your no longer restricted by wall outlets. Solves “insufficient power” errors | supplies maximum power from your TV’s USB port to your Fire Stick or other streaming device.. 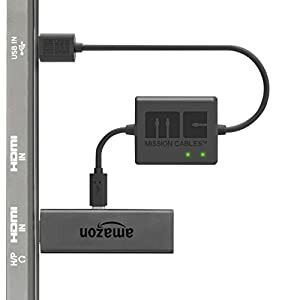 This HDMI to AV Converter can not be used as a AV/RCA to HDMI Converter. Fire Stick not included!! 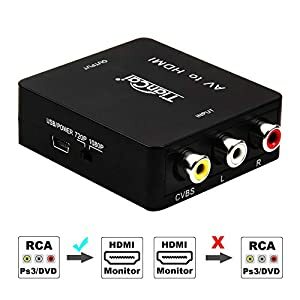 HDMI to RCA Converter: Convert HDMI video signal to CVBS(AV) signal. Support HDMI 1.3, Input Resolution Up to 1080p(50Hz/60Hz). Inputs: HDMI or CVBS. Outputs: HDMI, Digital Coaxial Audio, and Analog Stereo Audio. 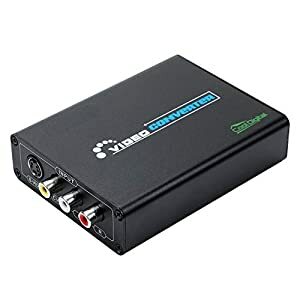 Mini AV to HDMI Converter Analog Composite Input to HDMI 1080P (60HZ) Output. Support PAL and NTSC two standard TV formats output.